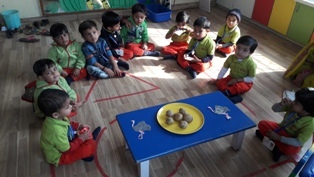 The tiny tots of Playgroup at WIS Bhilwara were introduced to Ostrich on Wednesday, November 16,2016. The kids brought boiled unpeeled potatoes. They peeled them, mashed them and rolled them to make balls like an ostrich’s egg. Toddlers also made the ostrich head gear. 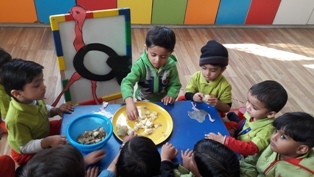 Through this activity tiny tots could recognize Ostrich.